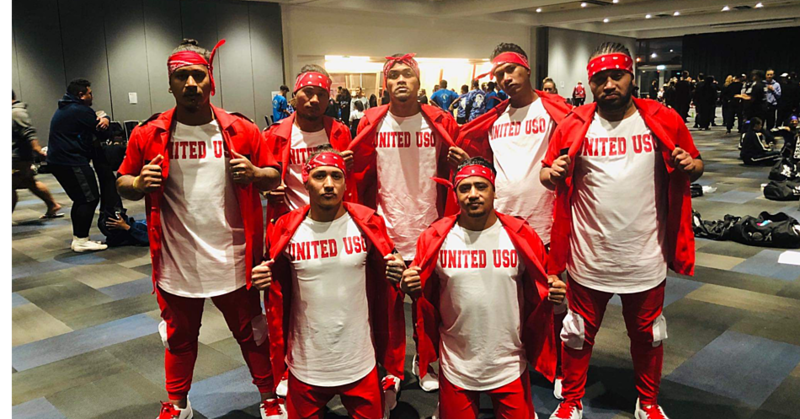 Listen to Our Voice is also a celebration and tribute to the courageous and devoted service of the Marist Brothers and Missionary Sisters of the Society of Mary who came to Western Samoa in the middle of the 19th century. On the 29th of November 1970, an aircraft carrying Pope Paul VI touched down on Western Samoa soil. The Pope had flown from the Philippines and was en route to Sydney, Australia as part of a 10 days pilgrimage to West Asia, Oceania and Australia. It was indeed an historic occasion, the first Papal visit to the South Pacific. It would be a short visit, approximately seven hours after which the Pope would return to Faleolo, then Pago Pago and on to Sydney. When this announcement was broadcast in Apia, John Tristram was there, visiting his brother Roger. After hearing the news of the Papal visit, John approached Bishop Pio with a proposal to make a film of the Papal visit and include a history and the role of the Catholic Mission in Western Samoa. The Bishop took time to consider – and agreed. 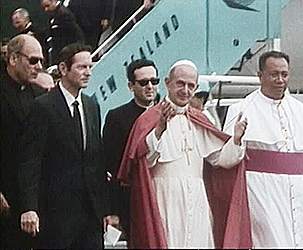 John and I arrived Apia well before the date of the Pope’s arrival. We were introduced to Father Jepson, Father Leamy, Father Kennedy and many members of the Church. Almost immediately we started filming Western Samoa’s preparations for the Papal visit. Before leaving Sydney we had recognised the need of a 2nd camera crew since Vatican Security was going to prevent us from freely moving around during the Papal visit. We would need one film crew at the airport and the other at Leulumoega. Keith Chatto and his wife Jean were a well established film crew team in Sydney and were also good Juniper colleagues. They came to Samoa to cover the day of the Papal visit. John and I would be at Faleolo to record the arrival and the truck convoy to Leulumoega Church. Keith and Jean would be on the Presbytery balcony close to the Church to film the service. On that November morning, local and international press photographers were swarming the area. I cannot recall any other film crew, apart of course from the official Vatican cinematographer and Vatican Press who were accompanying the Pope throughout the Papal Tour. They had open access to ALL areas, even close up to the Pope. We had very strict instructions to stay in ONE location only - and NOT MOVE from there. Bishop Pio Taofinu’u had earlier flown to Pago Pago to greet the Holy Father when He arrived from Manila. On arrival at Faleolo airport, the Holy Father was welcomed by Head of State, Malietoa Tanumafili II, Prime Minister Tupua Tamasese Lealofi IV and Members of Parliament. We had been instructed to remain on the back of the parked ‘media truck’ along with a bank of anxious and agitated still photographers some of whom broke ranks. I recall a lot of ‘elbowing’ among the media pack on the back of the truck. And so, after ceremonies and speeches at Faleolo, the Holy Father and Bishop Pio Taofinu’u stepped up and on to the back of an open truck decorated with the finest of Fine Mats, to be driven to Leulumoega Church. But nothing could have been as bad as when our media truck set off over a very uneven road surface just ahead of the Papal vehicle. And although I was using a large soft shoulder pad for the 400ft film mag. (no small hand-held cameras in those days), it was a rocky, bumpy, rocky ride...! We included some of these moments in the film. On the balcony of the Presbytery alongside the church at Leulumoega, Keith was reminded that our static camera had to REMAIN static. How envious we were watching the official Vatican cameraman weaving in and around the action and events during the Communion Service and immediately close to the Pope as He celebrated Mass. I remember that day well –and now the history, and the many Samoan colleagues and friendships made in that year. There is additional film footage in the DVD of scenes not used in the original film. They include a scene of the Maota Fono in the early stages of construction 1970. The new DVD includes a profile of Cardinal Pio Taofinu’u, A Man called Pio. This was a Tale from our television series, PACIFICA - Tales from the South Seas. It is a commemorative DVD of the historic first Papal visit to the South Pacific, November 1970. 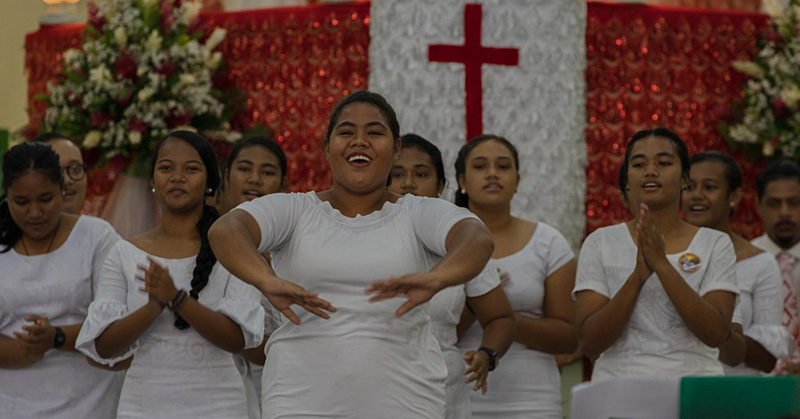 It is also a tribute to the devoted service of the Marist Brothers and Missionary Sisters of the Society of Mary who first came to Western Samoa over 150 years ago.